The congregations of the Synod are "confessional." They hold to the Lutheran Confessions as the correct interpretation and presentation of Biblical doctrine. Contained in The Book of Concord: The Confessions of the Evangelical Lutheran Church, these statements of belief were put into writing by church leaders during the 16th century. The simplest of these is Luther's Small Catechism. The Augsburg Confession gives more detail on what Lutherans believe. This creed is called the Apostles' Creed not because it was produced by the apostles themselves but because it contains a brief summary of their teachings. It has received this title because of its great antiquity; it dates from very early times in the Church, a half century or so from the last writings of the New Testament. It sets forth their doctrine "in sublime simplicity, in unsurpassable brevity, in beautiful order, and with liturgical solemnity. "In its present form, it is dated no later than the eighth century. More than any other Christian creed, it may justly be called an ecumenical symbol of faith. I believe in God, the Father Almighty, the Creator of heaven and earth, and in Jesus Christ, His only Son, our Lord: Who was conceived of the Holy Spirit, born of the Virgin Mary, suffered under Pontius Pilate, was crucified, died, and was buried. He descended into hell. The third day He arose again from the dead. He ascended into heaven and sits at the right hand of God the Father Almighty, whence He shall come to judge the living and the dead. I believe in the Holy Spirit, the holy catholic [apostolic or universal] church, the communion of saints, the forgiveness of sins, the resurrection of the body, and life everlasting. Amen. The Nicene Creed, also called the Nicaeno-Constantinopolitan Creed, is a statement of the orthodox faith of the early Christian church in opposition to certain heresies, especially Arianism. These heresies, which disturbed the church during the fourth century, concerned the doctrine of the trinity and of the person of Christ. Both the Greek (Eastern) and the Latin (Western) church held this creed in honor, though with one important difference: the Western church insisted on the inclusion of the phrase "and the Son" (known as the filioque) in the article on the procession of the Holy Spirit; this phrase still is repudiated by the Eastern Orthodox church. In its present form, this creed goes back partially to the Council of Nicea (A.D. 325) with additions by the Council of Constantinople (A.D. 381). It was accepted in its present form at the Council of Chalcedon in A.D. 451, but the filioque phrase was not added until A.D. 589. However, the creed is in substance an accurate and majestic formulation of the Nicene faith. With additions from the Council of Constantinople. We acknowledge one baptism unto remission of sins. We look for the resurrection of the dead, and the life of the age to come. Read the complete Augsburg Confession here. 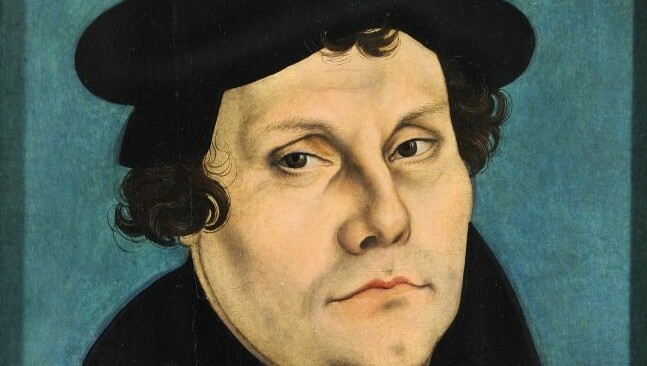 Read the history of the The Ninety-Five Theses by Martin Luther Published October 31, 1517 (note that many changes and updates have been made to these since 1517). A disputation of Master Martin Luther, Theologian, for the elucidation of the virtue of Indulgences. From a zealous desire to bring to light the truth, the following theses will be maintained at Wittenberg, under the presidency of the Rvd. Fr. Martin Luther, Master of Arts, Master of Sacred Theology and official Reader therein. He therefore asks that all who are unable to be present and dispute with him verbally will do so in writing. In the name of our Lord Jesus Christ. Amen. Therefore the pope, when he uses the words "plenary remission of all penalties," does not actually mean "all penalties," but only those imposed by himself. Men must especially be on guard against those who say that the pope's pardons are that inestimable gift of God by which man is reconciled to him. Christians are to be taught that he who sees a needy man and passes him by, yet gives his money for indulgences, does not buy papal indulgences but God's wrath. It is certainly the pope's sentiment that if indulgences, which are a very insignificant thing, are celebrated with one bell, one procession, and one ceremony, then the gospel, which is the very greatest thing, should be preached with a hundred bells, a hundred processions, a hundred ceremonies. For it is clear that the pope's power is of itself sufficient for the remission of penalties and cases reserved by himself. We say on the contrary that even the present pope, or any pope whatsoever, has greater graces at his disposal, that is, the gospel, spiritual powers, gifts of healing, etc., as it is written, 1 Co 12[:28]. Such as: "Why does not the pope empty purgatory for the sake of holy love and the dire need of the souls that are there if he redeems an infinite number of souls for the sake of miserable money with which to build a church? The former reason would be most just; the latter is most trivial. Again, "Why are funeral and anniversary masses for the dead continued and why does he not return or permit the withdrawal of the endowments founded for them, since it is wrong to pray for the redeemed?" Again, "What is this new piety of God and the pope that for a consideration of money they permit a man who is impious and their enemy to buy out of purgatory the pious soul of a friend of God and do not rather, because of the need of that pious and beloved soul, free it for pure love's sake?" Again, "Why are the penitential canons, long since abrogated and dead in actual fact and through disuse, now satisfied by the granting of indulgences as though they were still alive and in force?" Again, "Why does not the pope, whose wealth is today greater than the wealth of the richest Crassus, build this one basilica of St. Peter with his own money rather than with the money of poor believers?" Again, "What does the pope remit or grant to those who by perfect contrition already have a right to full remission and blessings?" Again, "What greater blessing could come to the church than if the pope were to bestow these remissions and blessings on every believer a hundred times a day, as he now does but once?" "Since the pope seeks the salvation of souls rather than money by his indulgences, why does he suspend the indulgences and pardons previously granted when they have equal efficacy?" Blessed be all those prophets who say to the people of Christ, "Cross, cross," and there is no cross! Read the rest of Luther's Preface to the Small Catechism and the Small Catechism in it's entirety here.